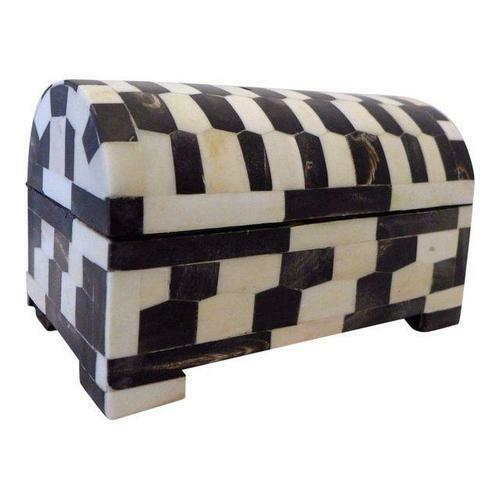 Incepted in the year 2010 at Jodhpur (Rajasthan, India), we “Traditional Art And Crafts” are a Sole Proprietorship firm that is an affluent manufacturer, trader, wholesaler, retailer and exporter of a wide array of Bone Inlay Table, Bone Inlay Stool, Bone Inlay Drawer, Bone Inlay Box, etc. We provide these products as per the latest market trends and deliver these at client's premises within the scheduled time frame. We have also selected a team of devoted and capable professionals who helped us to run the operation in a systematic and planned manner. We export these unmatched quality products to Australia and Gulf. Under the supervision of "Mr. Pintu Panwar" (Manager), we have gained huge success in this field. Traditional Art And Crafts is a regularly changing collection of architectural pieces, Indian furniture, decorative items, from India. We stock a range of pieces that reflect an enormous mythological and religious heritage whilst at the same time having a unique aspect of design. Along with the huge range of Indian furniture, we have managed to gather a collection of pieces that have the artistic appeal. Please note. Due to the ever-changing fluctuations in the market and currencies, some prices both wholesale and retail may change without prior notice. Welcome our wholesale Indian furniture customers. If anyone has any special needs please let us know. We can fulfill special orders. We are constantly adding to our range of wholesale Indian furniture goods. Please e-mail us to discuss the needs and get pictures and details for new products. For freight costs, you will need to e-mail us with all the information of your nearest seaport and final destination for your shipment.